Well, not exactly cake, but a great way to use canned salmon. The ingredients are minimal, perfect for camping or on a night running between kid activities, and a frying pan is all that is required. We love that we can change up the ingredients based on what we have on hand and that they make great lunch items for the whole family the next day too! That is, if there are any leftover! Drain and reserve liquid from canned salmon. De-bone if you wish, but it is not necessary. 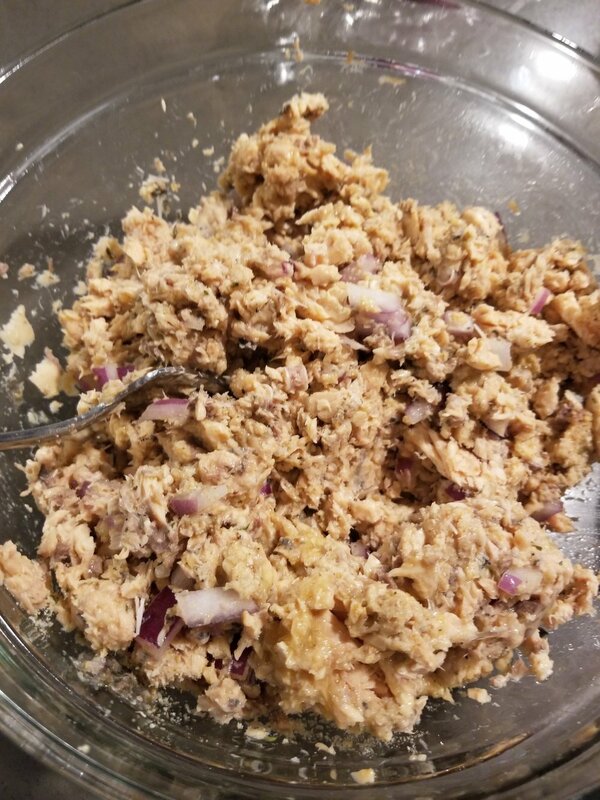 Mix egg, onion, apple, dill, bread crumbs and salmon together. Make into patties. If you find the mixture is too dry to form into patties, use reserved liquid from salmon to moisten. In a frying pan, heat olive oil. Place patties in the pan, browning each side. Turn gently. Makes 6 patties, but we usually double this recipe up!